Image via Swann Auction Galleries. Harriet Tubman was born into slavery in Maryland in the early 1820s. She escaped and became one of our nation’s most famous abolitionists, who led hundreds of other slaves to freedom via the Underground Railroad. She was also a nurse and a spy who led a successful campaign to liberate 727 slaves during the Civil War. Most pictures of her were taken about ten to twenty years later, but this new photo shows Tubman as a much younger woman. Mic reports that new image was discovered by historian Kate Clifford Larson, who saw the image in the photo album of Emily Howland, friend and fellow abolitionist. According to Auburnpub, the photo was taken in Auburn, New York, where Tubman bought land in 1859 from Senator William H. Seward. That land was recently named the Harriet Tubman National Park. The photo is up for auction at Swann Galleries on March 30. Harriet Tubman between 1871-76/Image via Library of Congress. Harriet Tubman circa 1885/Image via Getty. Harriet Tubman ins 1895/Image via The New England Magazine. Tubman made that trip over and over again, to help both her family and many, many others to freedom. Following the war, she lived on her Auburn property with other family members, and married a Civil War veteran named Nelson Davis in 1869. They adopted a child named Gertie. 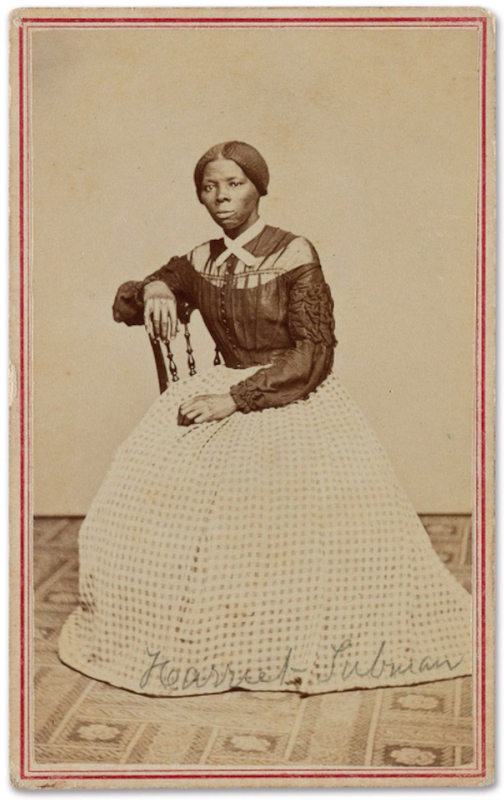 Tubman never had much money, despite her fame and contributions during the war, but she was generous with what she had. In the early 1900s, she donated some of her land to the African Methodist Episcopal Church in Auburn and The Harriet Tubman Home for the Aged opened there in 1908. She died in 1913 from pneumonia in the home named in her honor, surrounded by friends and family.